!! Please note: reopens after refurbishment after 2019 !!! At least 10 Must-see pictures. Join me for a visit to the Museum of Fine Arts, Antwerp. I will be your private professore, travelling in from Amsterdam, Holland specially for you. Tour by Drs Kees Kaldenbach, a professional Art History scholar with excellent teaching skills. Specialist in Fine art and Design, Architecture and History. VIP entry. Entry best at from 9 or 10AM. Please note, this is a high level offer. Practicalities: I live in Amsterdam, Holland and do NOT run a travel agency. I do however provide Fabulous international museum tours. The plan is that you contract me for one or more days as your private ‘Professore’ and offer full transport to that city, plus hotel accommodation. We will spend quality time together in mornings and early afternoons. 1. Expensive option: You can hire me and I will fly in to be your own outstanding private “Professore”. At your cost, I will fly in especially for you and I will guide you after spending a hotel night. And then a very memorable museum visit or two. 2. Less expensive option: I know many first-rate art historian colleagues all over Western Europe. Therefore I know just the company/guide to arrange an excellent museum visit for you. I work very closely with these art history women and men and they are brilliant. 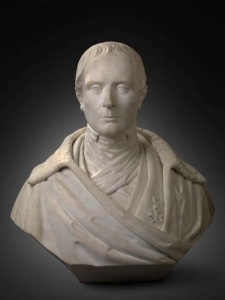 Count Floris van Ertborn, hero of the Primitive collections. It is housed in a humongous building completed between 1890 and 1894 in the Beaux Arts style. Architects were Jacob Winders and Frans van Dijk. The museum’s art collection began with the objects owned by the Antwerp Guild of Saint Luke, which was active from the late 14th century to 1773. When the guild disbanded, its gallery of paintings went to the Academy of Fine Arts. This humongous building is a result of muscle-flexing by Flemish nationalists and people proud of Antwerps history and position. 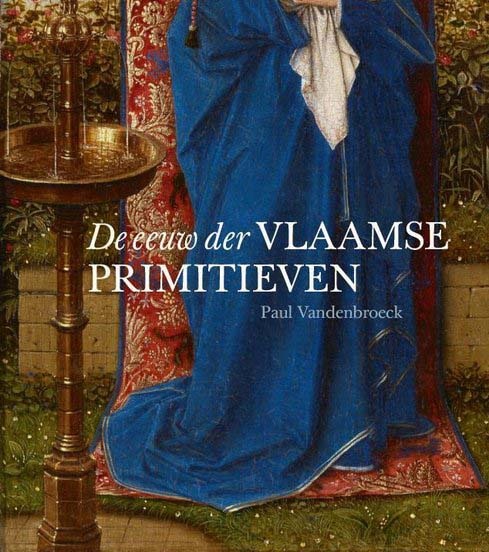 Hero of the early Flemish collection is Count Floris van Ertborn, Antwerp lord mayor, the genius who saw the beauty and value of “Flemish Primitive” paintings when hardly anybody recognised their value. 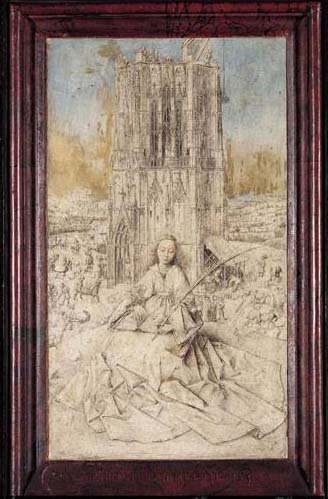 Van Eyck, St Barbara. Background shows the building activity related to erecting a Gothic cathedral. 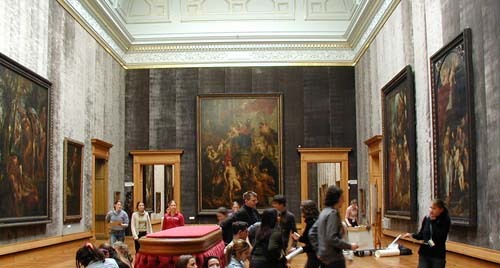 Huge room with XXL Rubens painting, originating from Churches. Due to revolution these works of art were displaced and then returned here. 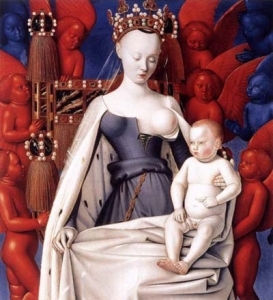 Fouquet, Madonna breast feeding “al latte”. With red and blue angels. Please note, this is a high level offer. Practicalities: I live in Amsterdam, Holland and do NOT run a travel agency. I do however provide Fabulous international museum tours. The plan is that you contract me for one or more days as your private ‘Professore’ and offer full transport to that city, plus hotel accommodation in the same place you will stay. We will spend quality time together in mornings and early afternoons. Tour by professional Art History scholar with excellent teaching skills. Specialist in Fine art and Design, Architecture and History. VIP entry. Drs Kees Kaldenbach: „…he is wildly overqualified to be a guide . That is his secret… Trust me on this.” Gabe. Statement made February, 2017. 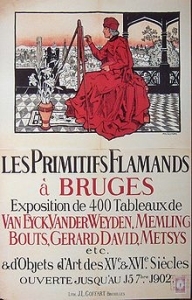 Flemish Primitives. The name does not imply Primitive as in cave-man, but Prime, the First. Overview of International tours (outside Holland).